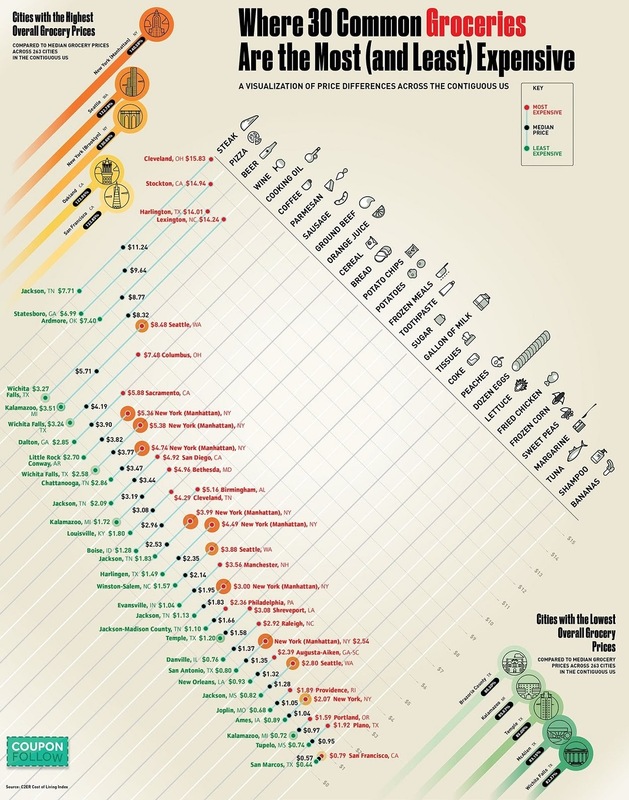 Where 30 Common Groceries Are the Most (and Least) Expensive #Infographic ~ Visualistan '+g+"
How much does a gallon of milk cost in New York City? Or a dozen eggs in San Antonio, Texas? 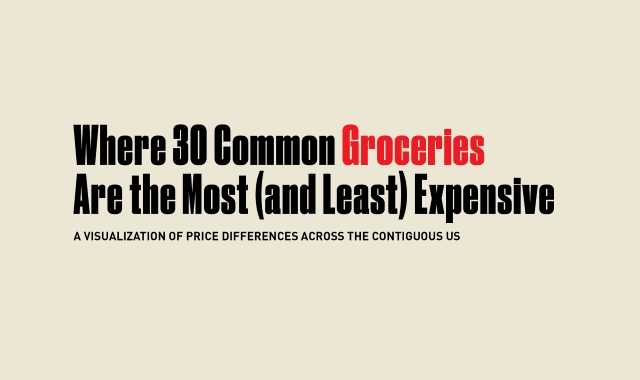 This infographic from CouponFollow.com takes a look at where 30 common groceries are the most (and least) expensive across the United States. The price list data lets us know that the five top most expensive cities in the country account for several of the highest grocery bills. However, the overall cost of these groceries in the United States can change by quite a bit in some of the cheaper areas. Take a look at this infographic from Coupon Follow and see how and if the data resembles the prices in your own hometown. You can see where the groceries are the most expensive and the cheapest in the United States!